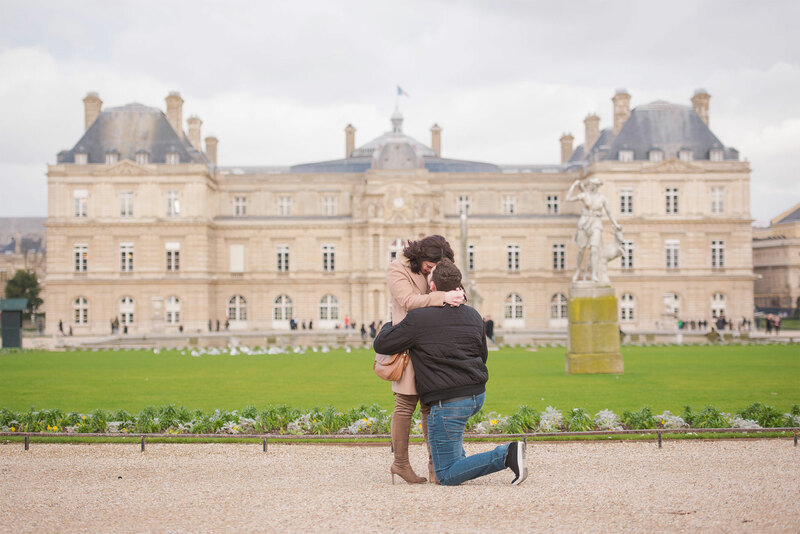 Since 2012, we’ve become known for capturing surprise proposals! 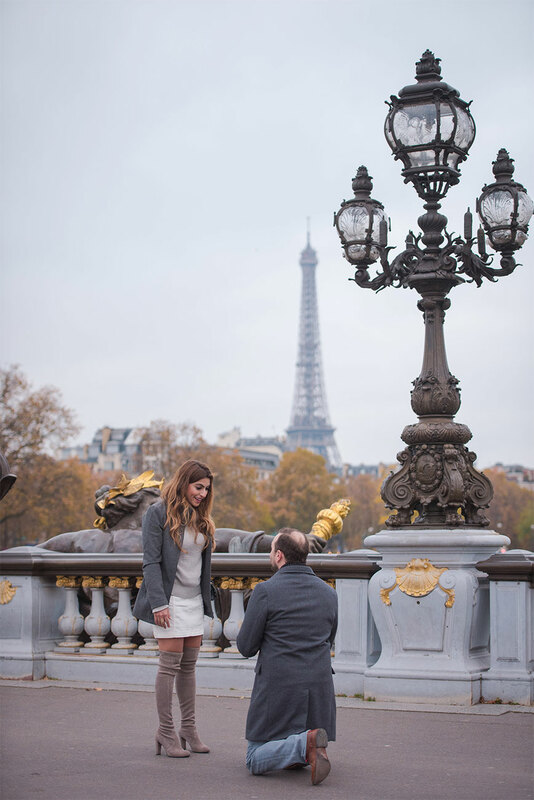 We’ve been fortunate to capture hundreds of romantic proposals in Paris, and we get just as excited as we were many years ago for each and every one. 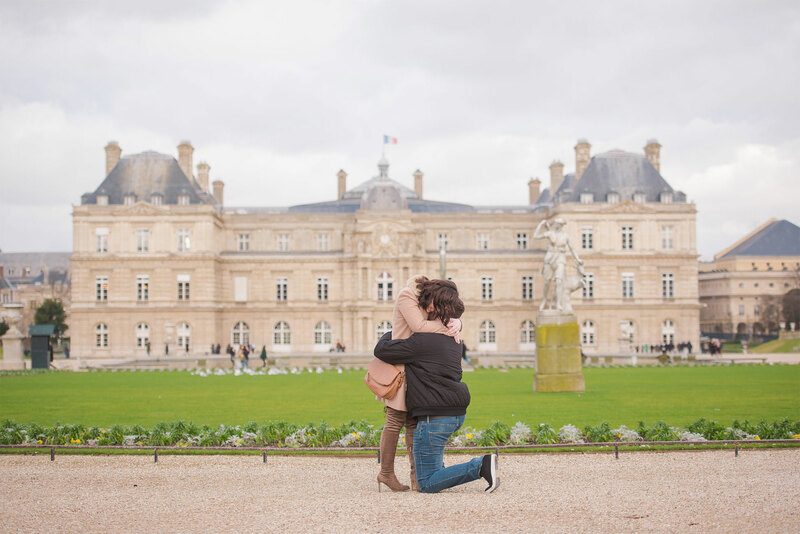 We know choosing a photographer to capture one of the most important moments in your lifetime is a big decision, especially in a foreign city. That’s why we’re here to support you every step of the way. We can guide you from location options and ideal time of day, to how to stand and outfit choices. 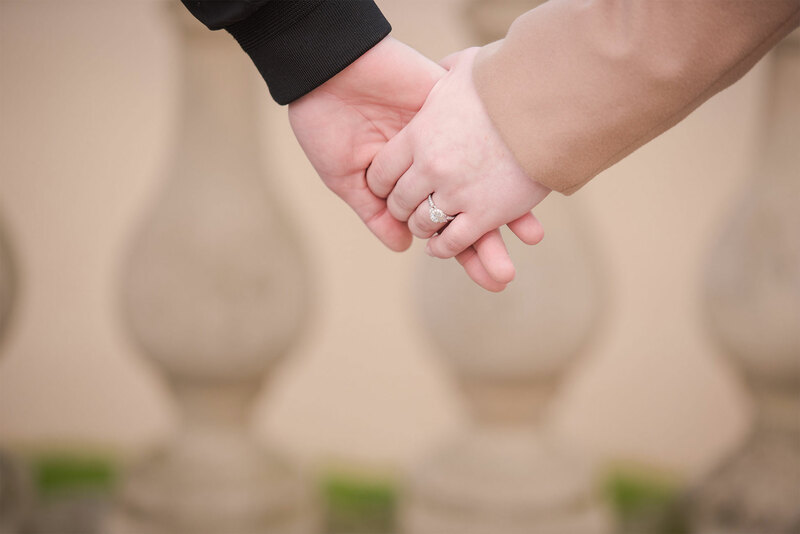 You can trust us to help you plan your big moment without stress (so you can focus ont he big question!) And, at the end, you’ll have exceptional, professional photos to cherish for a lifetime. A timeless keepsake of this momentous occasion! You two can look back on these photos and remember how it all began. First, we decide on an exact time and place. Location is everything, right? We’ve got plenty of location ideas and tips to help you choose the perfect place. Then, we work out all of the logistics. This ensures that we arrive at the right time and the right place. Along the way, we’re very responsive to emails, texts, etc. to answer any questions you may have leading up to the big moment. On the day of, the magic happens! 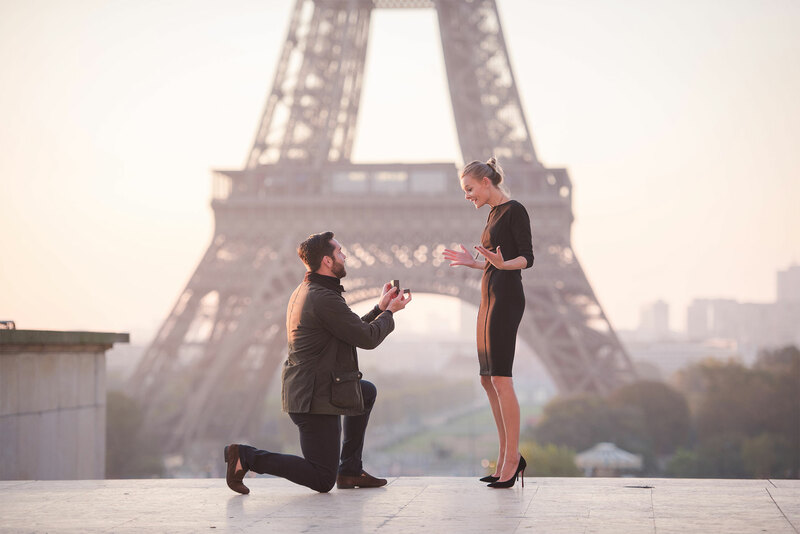 We photograph your proposal and reactions. 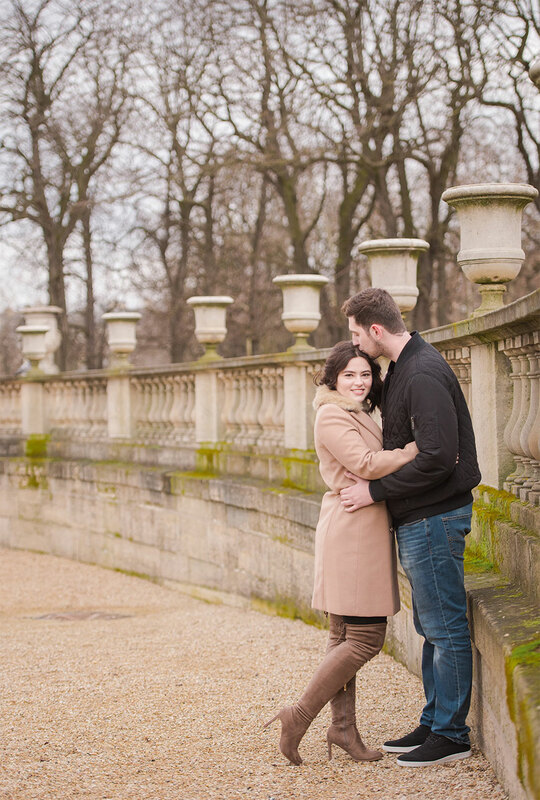 Then we’ll spend another 15-20 minutes in the area doing a mini engagement session. Once we part ways, you go celebrate and we get to work. A quick delivery of your edited images will arrive in 3-4 days via an online gallery, and rush delivery (one day) is also an option. 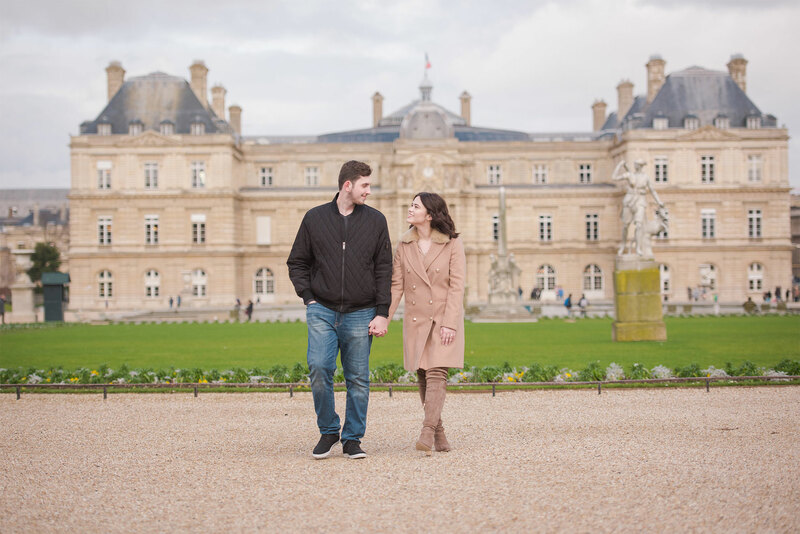 – Engagement Session. 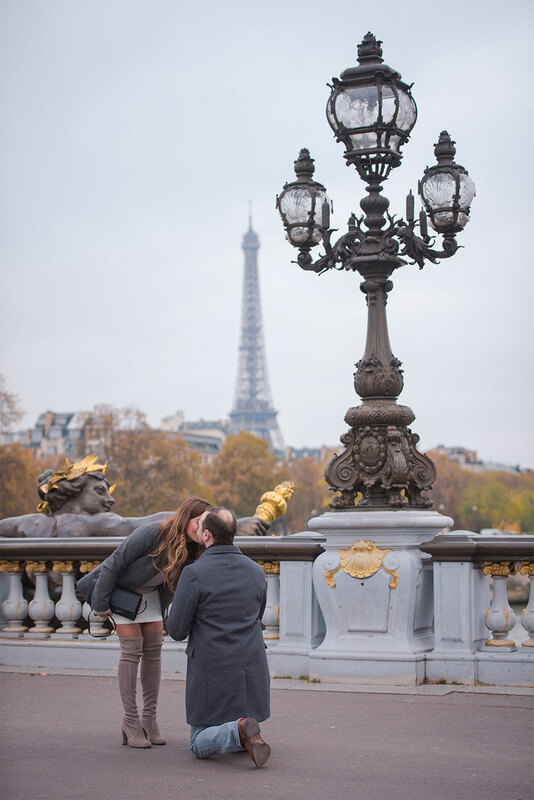 Interested in more photos around Paris? 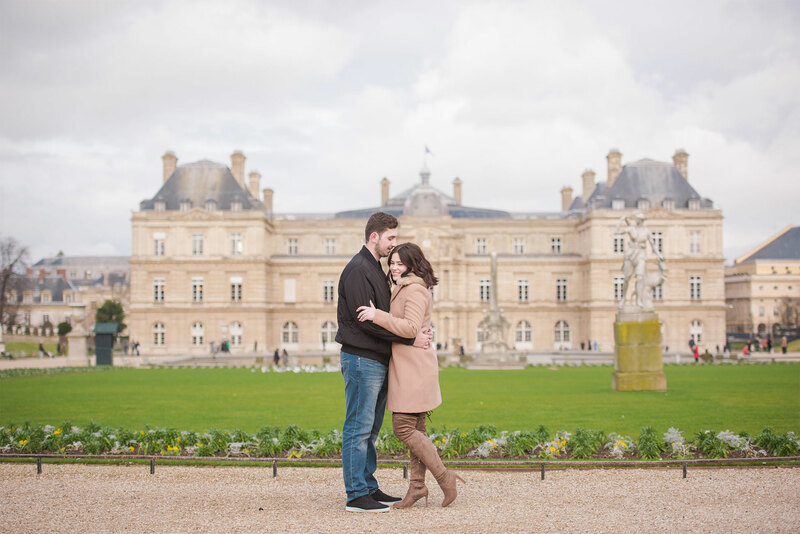 We can plan for more engagement photos at additional locations, either the same day or on a different day. – Set the mood with music. 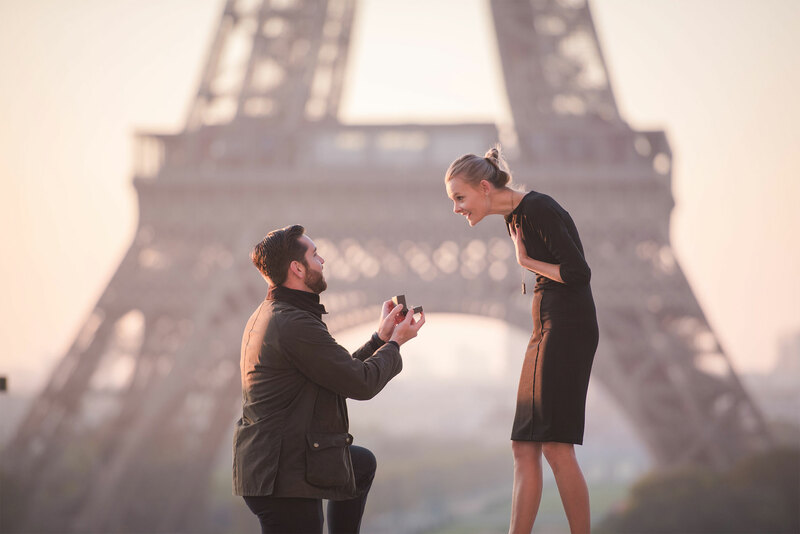 We’ve teamed up with talented musicians - violinists, singers and ukulele performers - to make your proposal even more personal. – Flowers, champagne and gourmet picnics to-go from my Paris restaurant Zia are also available on request (April - October). For inspiration, peruse our blog. It’s full of ideas for outfits, locations, poses and more. If you need a bit more guidance or you have any specific questions, please check out our FAQ page or contact us directly! 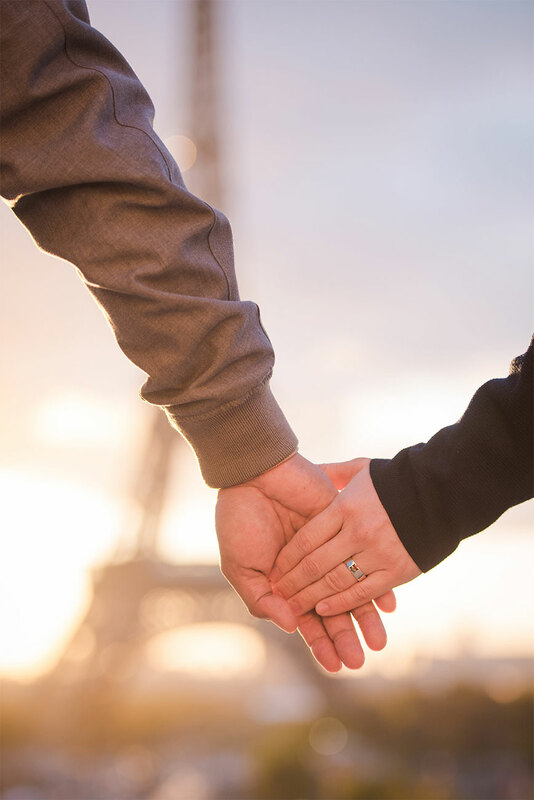 Click HERE to send us a message via our contact form or email us directly at bonjour@pictoursparis.com. Website by Tiffany Kelley Design Co.